How safe is the Interstate 5 bridge? VANCOUVER — The original span of the Interstate 5 (I-5) bridge was opened in 1917. It was the first automobile bridge across the Columbia River between Washington and Oregon, and the second bridge to span the river at all, after the Wenatchee Bridge of 1908. Is the I-5 Bridge safe? Finally, there were 81 “structurally deficient” bridges built over 50 years ago, with a sufficiency rating of 50 or less (the I-5 Bridge was not listed). So is the Washington State Department of Transportation (WSDOT) not being truthful to the citizens of Washington, in reporting “structurally deficient” bridges? I don’t think so. WSDOT in January 2017 updated their report to citizens. There are two more bridges on the list of 145 bridges. The I-5 Bridge remains safe according to WSDOT. There is only one bridge in Clark County listed as “structurally deficient,” and it’s not the I-5 Bridge. Both WSDOT and the Oregon Department of Transportation (ODOT) deem the bridge structures “safe” for the next five decades. That sounds bad but according to ODOT that does not mean the bridge is unsafe. It means it was built to outdated construction standards: narrow lanes, narrow shoulders and not built for the volume of traffic these days. What is the oldest steel bridge in the nation? The Eads Bridge in St. Louis holds the honor of being the oldest steel bridge in the nation, according to Wikipedia. It was built in 1874 and crosses the Mississippi River. It still serves it’s community and is a historic treasure. The St. Louis Landmark is listed on the National Register of Historic Places, as a National Historic Landmark. As of April 2014, it carries about 8,100 vehicles daily. Is the Interstate 5 bridge the oldest steel bridge in the region? The BNSF rail bridge was built in 1908. The Hawthorne Bridge was built in 1910. The Steel Bridge was built in 1912. The Broadway Bridge was built in 1913. The I-5 Bridge (the northbound structure today) was opened in 1917. In the last century, the biggest magnitude earthquake has been a 7.1 in the Pacific Northwest, according to the Oregon Department of Geology and Mineral Industries. April 13, 1949 — magnitude 7.1, Olympia, eight killed and $150 million in damage in Washington, minor damage in Northwest Oregon. This was the largest and best documented quake in the Northwest and was felt over 230,000 square miles. Nearly 17,000 earthquakes of magnitude 1.0 to 6.0 have been recorded in Oregon and Washington since 1970. About 15-20 quakes a year are felt in the Northwest. Earthquakes are usually felt if they are at least magnitude 3 to 4. So why all the hype? We don’t experience California-type earthquakes. The biggest natural disaster local citizens discuss is the Columbus Day Storm in 1962. Overall, rains and flooding cause much more damage here in the Pacific Northwest than earthquakes ever have. This would include landslides triggered by heavy rains. The Oso mudslide being our most recent. Forty-three people were killed and 49 homes or structures were destroyed in this landslide. A seismic upgrade would be a prudent thing for all of our regional bridges. It has been estimated it would cost $200 million for a seismic upgrade to the I-5 Bridge. 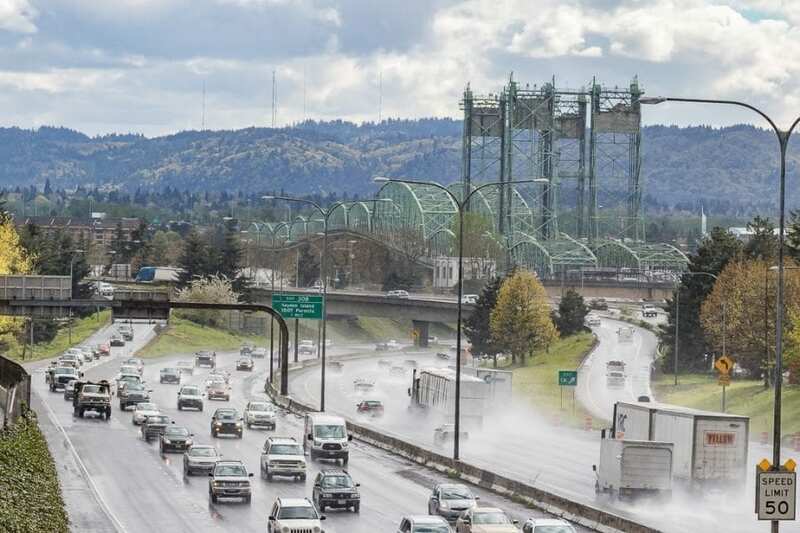 “Only a small portion of I-5 would remain passable if the state suffered a substantial seismic event; most of the older bridges would either collapse or experience severe damage and become impassable without major and very costly repair work,” ODOT reported. We need to treasure and preserve our I-5 Bridge. It is a piece of our history. It remains safe and serves our community. While it is aging, with proper maintenance it can continue serving the Portland metropolitan region for another century. 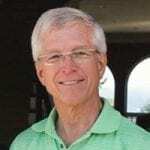 John Ley is a resident of Camas and an active participant in issues that impact Clark County residents.